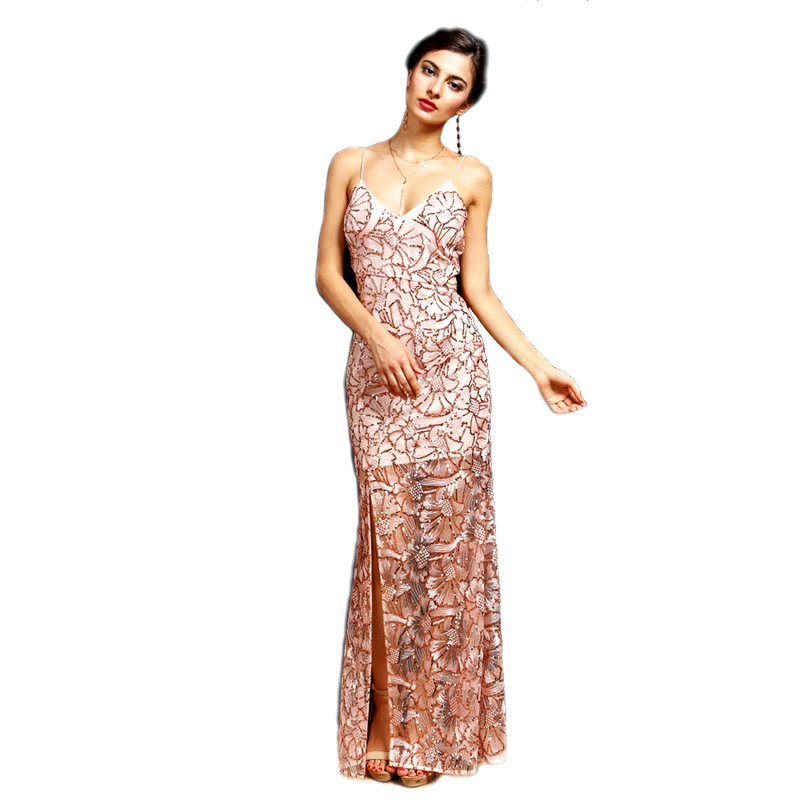 This gorgeous beaded dress is the perfect combination of classic and chic. The off-the shoulder cami-strap style, coupled with the flowing floral skirt, make for a romantic and enchanting look. 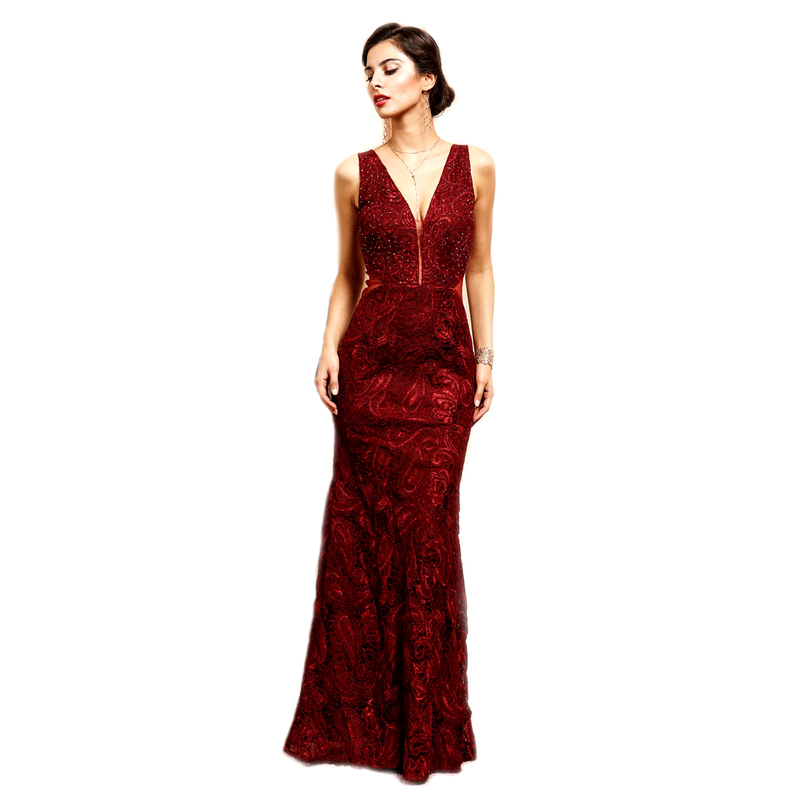 A stunning gown perfect for New Years or a black tie affair.